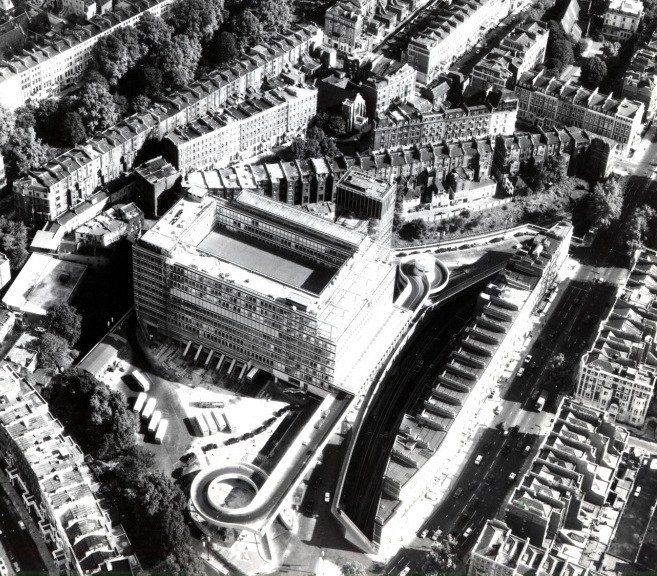 This forgotten building still exists, at least in its physical manifestation as a 1960s tower block overlooking the Cromwell Road. In all other respects it is forgotten and when I wander around the extensive interior of Sainsbury’s Gloucester Road I never think of what was there before, or of the original purpose of this strangely sited structure. Because this building served a purpose which could now be regarded as obscure and archaic. It was British European Airways’ West London Air Terminal. The idea of an air terminal away from the actual airport it served goes back to the days when Croydon was London’s Airport. It had a remote terminal at Victoria Station. In the period after the war Heathrow was in the ascendant so the search was on for a site in West London. The airport authorities settled on an area in Kensington already occupied by another form of transport: the Cromwell Curve where the District and Circle lines came together and tube trains from Gloucester Road, High Street Kensington and Earls Court passed each other. It was decided to build a concrete raft over the train lines and construct the new terminal above them. The need for the terminal was so great that they couldn’t wait to build a full scale versionl. A temporary two storey terminal was completed in 1957. This is a truly forgotten building, barely recalled at all I should think except by those who used it. The first terminal’s time was limited. In a few years the new version was under construction. The new tower rose and the platform was extended to accommodate a second entrance. This view of the east entrance shows the other end of the ramp and the lift tower. That lone pedestrian looks like he’s taking his life in his hands. Here at the west entrance an early photo shows some minimal signage for BEA. Inside was a modern concourse with flight information displayed on actual television sets. It looks a little under-populated but that may be what the photographer was asked to produce. Down in the restaurant it looks lively enough with people sitting around some bar style tables. At this point I have to ban the word modern from any further use. The idea in case I haven’t spelt it out was that you checked in for your flight here and then you and your luggage were transported to Heathrow in special airline buses. I tried to explain to a younger person why this might have been thought to be a good idea but I didn’t succeed. It is enough to say that for many years the airline and its passengers agreed that it was. The Cromwell Road location, a short convenient distance up the road from Gloucester Road Station meant that when the time came to fly you could put on your sheepskin coat, walk down some stairs, put your case in the coach and be on your way. On the way back the airline deposited you back in Central London. They even had a baggage carousel, with uniformed porters on hand to help. It doesn’t look too busy. I suspect the whole arrangement was something to do with the relative novelty of regular air travel and once people were used to the idea of going to airports, and there were plenty of options for getting there, it was just as easy to make your own way. So the exciting days of air travel were over. The curling ramps are gone and the building is clad in an inoffensive colour. As always with aerial photos you can spot some interesting detail you can’t see from below. That light well in the centre for example. What does it look down on these days? An ornamental garden, or a sports field? Next time you travel on the tube between Gloucester Road and High Street Kensington you can look for the steel girders holding up the concrete platform you are travelling beneath. You can also look all the way up, and wonder what the view all the way down looks like to residents. This entry was posted on Thursday, June 6th, 2013 at 12:12 am	and tagged with BEA, Cromwell Road, West London Air Terminal and posted in 20th Century, Forgotten buildings, Kensington, Transport. You can follow any responses to this entry through the RSS 2.0 feed. Fantastic! Is this the air terminal that appears in an episode of The Avengers, in which John Steed returns from holiday to find Mrs. Peel kidnapped by a set of art thieves? I don’t know (any Avengers experts out there?) but I hope it was. Yes it is – that’s what led me to do a search for it. The episode S4 E18 has just been on the True Drama channel on Sky. Like you, Peter, I also came across this interesting blog after just watching The Avengers and googling ‘West London Air Terminal’. I also found this article after watching the Avengers. This one brings back memories. My wife worked at BOAC (Buck Pal Rd) as a booking officer in the mid sixties and we used the west London air terminal several times as we got to travel at only 10% of the fares, and sometimes had free accommodation at the other end. This was magic for us as we lived in a garret in Redcliffe Sq. I remember buying a book at the WLAT to read on one journey – a recently de-banned thick PB volume by Frank Harris ‘My Life and Loves’, which makes that trip 1966. Strange, I recall the book but not the trip! It was the (to me) helter skelter-like ramp that caught my imagination as a child. I actually live in the building, wanted to know a little bit of the history, didn’t realise it used the same structure (I assumed it was entirely new build), but you can still see the round columns when you are in the apartments now! It is now known as ‘Point West’ 116 Cromwell Rd. It’s good to hear from an actual resident. So can you tell me if the light well in the middle is used for anything now – it would make an interesting hidden space if there was a garden or something there. Or are you going to tell me it’s just a roof for whatever’s undeerneath? 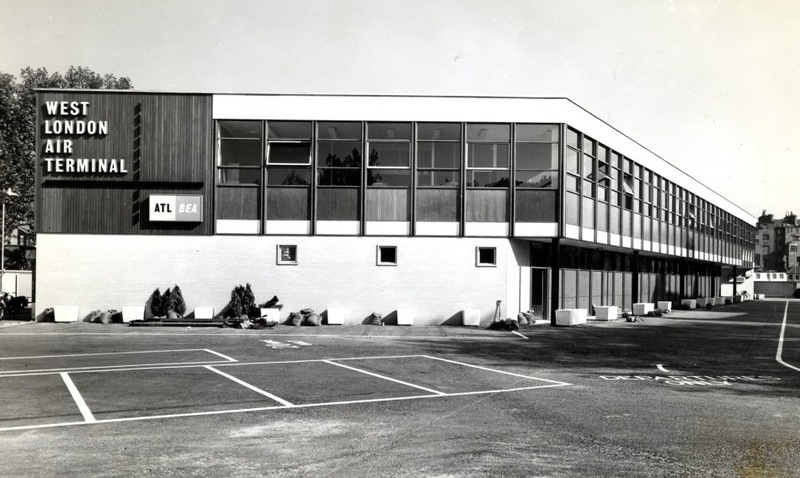 this building was designed by my father, Gordon Tait of Burnet Tait and Ptnrs. Is it possible to obtain copies of the photos? we can supply digital versions of the images. Please email me at dave.walker@rbkc.gov.uk with details of which images you are interested in. Hi, there is a David Lloyd gym in the building on the ground floor. The ‘courtyard’ is open down to that level where there is a glass roof over the running machines, not very exciting am afraid. Hi, I used to work in this building from 1977-1985 when it housed part of BA’s IT department including a data centre, and Telephone Sales. It was a great place to work and featured an iconic bar in the basement called the ‘Comet Club’. This place was so liked that that we recently had a reunion to celebrate the place and the friendships it spawned. We even have a Comet club group on facebook. 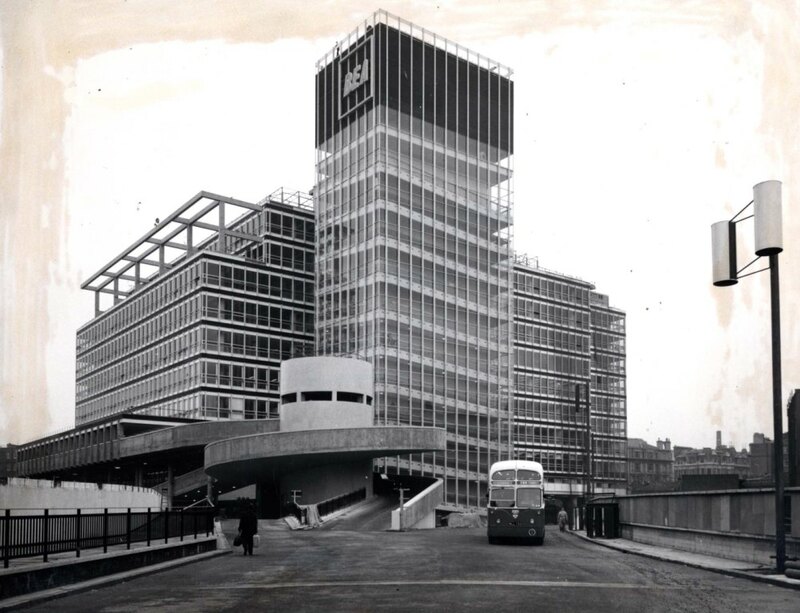 It was a sad day when the building was sold off in BA’s asset stripping prior to privatisation and we were all farmed off to the desert that is Hatton Cross. Hi Dave, I am also a resident of Point West so it has been with extra interest and enthusiasm that I have been reading you blog on the history of this fascinating building. There is very little about it online so I thank you for your blog. I live in that light well and as my fellow resident says it looks down on the David Lloyd Gym. You can see people sweating it out on the cross trainers and treadmills through the glass window. I am also a member of the gym and so I get both views. I have vague memories of the terminal as a boy but remember it being redeveloped in the 1990s. Thank you once again for sharing this fascinating piece of history. I am really enjoying your blog. I worked in reservations from April 1974 to October 1977; originally on the 4th floor, on Univac unisets connected to BEACON and later, downstairs on the 2nd floor on VDU’s connected to the BEACON replacement, called BABS. Very high-tec for its day. We answered between 14,000 and 19,000 calls a day! 24-hour shifts, lots of friends, fun and good memories, but BEA were taken over by BOAC who only had one way of doing anything – theirs! All downhill from there, I’m afraid…. Great article thank you. In the 60s and 70s I used to pass it a lot. Now I just passed daisies on a 74 bus and wondered whether or not the whole thing went. Didn’t know it say on top of the tube junction which I travel through most days. Very interesting. .. Thanks. 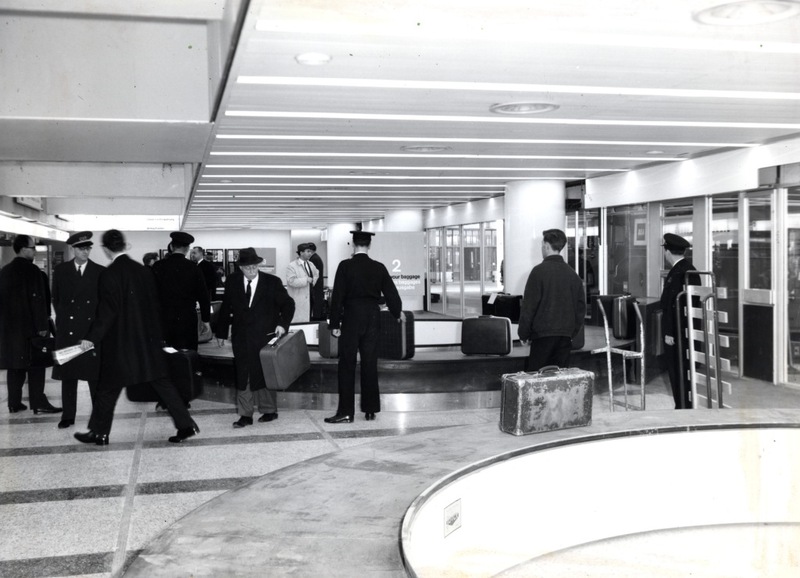 In the magazine (sadly not on the online version), it shows the inside of the terminal with passengers checking in as well as the routemasters with luggage trailers. Is there any chance those additional photos from BA magazine are added to here so that this article here holds the most comprehensive archive of the building as the West Terminal. Thanks again for safekeeping this piece of interesting history. Thanks for your comment. It’s good to hear from another modern resident of the building. In almost all cases the images on the blog are from the Local Studies collection or books in the Library. I try to present pictures that are unfamiliar or not available elsewhere. I imagine BA has its own archive of images for which they hold the copyright image rights. Do you happen to know when was the present sainsbury’s built? I’m an architecture student and currently doing a project on this site so any information would be very much appreciated. Also thank you for this post, very good insight on the history of the place. The Sainsbury’s store was opened in 1983.There is an article in Building (20 May 1983) “Architects with a package deal” about the project. As a prep-school boy in the 1960s with parents living in Spain I had several trips from this terminal, usually meeting up with my sisters who were at another school in Kent. On the first occasion I was supposed to meet a Universal Aunt at Victoria Station…I gave her the slip and made my own way to Cromwell Road. There I made the acquaintance of another boy and his sister who had their own Universal Aunt….Due to dense fog at Heathrow my flight was postponed and I was billeted with this 2nd U. A….because the original one, who by then had found me ..was not able to put me up ( more likely she wanted nothing to do with such an ill-behaved charge! ). My sisters , however, had no such recourse to lodgings in the capital and had to be driven back to school for the night ( by a very accommodating school taximan ), returning next day for the successful flight ! I worked at the terminal from 1970 until 1978 and had a great time working as a Passenger Service Assistant. We worked shifts and moved around the different venues. Most of us were in our twenties, so the social life was good and we often met in the Comet Club for a few glasses of wine in our lunch break. The men probably enjoyed themselves too as the majority of staff were female and some the girls including me ended up marrying one of their colleagues. I am still married to him after 41 years and we share a great love of the place we met. I worked there from 69 through 72 as a programmer on what were then very powerful mainframes, see http://philmayes.com/work/univac494.htm for arcane machine details. It was a great job. I would walk down Cromwell Road at lunch hour and spend time in the then free museums staring at Tielke guitars and parts of Babbages’ calculating machine. I can’t get to your page Phil! Sperry-Rand Univac 494 – Fast-rand drums with parallel access. Have you any photos of the computer room and /or the reservations hall showing the terminals? I remember the restaurant & the Silver Wing Comet Club and those museums. What a great craic it all was! Although based at LHR I also worked on the (wanna say) the 6th floor on Terminal systems aside from ASRS. Some of the team were engaged on terminal maintenance and telephone systems – was it a Siemens exchange? I have a strong feeling that the 494’s were on the 4th floor but…. ?? To correct myself – It was an STC exchange that I was thinking of which might have been only at LHR after all. It’s not the point! The point is that I cannot find photos of the Reservations (ASRS) area. Surely that would make a good picture? Hi. I posted earlier in this (long term!) thread. But I worked in the Computer Room from 1968 to 1974. Cutting edge technology for those times, largest real-time system in Europe with a core memory of 132K ! Have a couple of pics of the computer room which may be of interest, but cant see how to attach them on here. If you give your email I will send them to you. Regards, John Grafham. Oops: link-rot. Try https://www.philmayes.com/work/univac-494s-at-bea/ and I’ll try to put a redirect for the broken link. Very interesting! 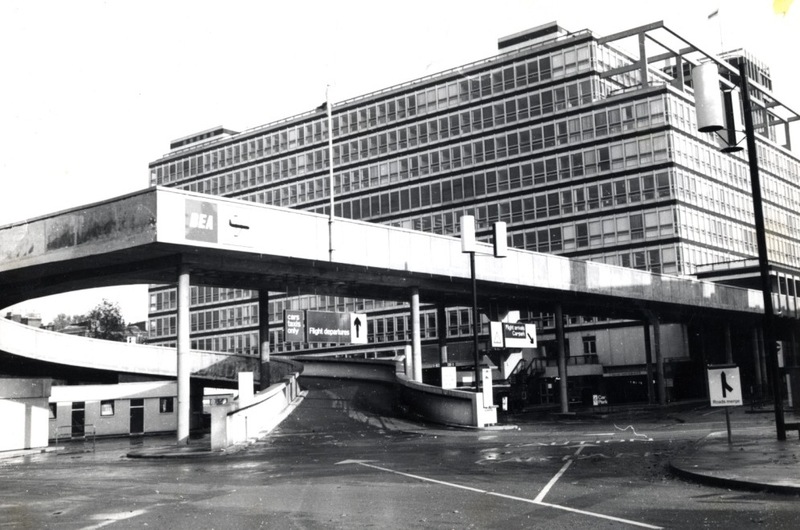 I found this blog after searching for info on the Cromwell Road terminal because it features briefly in the book I am currently reading – Michael Crichton’s recently republished “Scratch One” copyright 1967. The protagonist flies to Nice via Air France. Having been a Londoner for 16 years and visited that area several times but never heard of the terminal my curiosity was piqued. Thanks! Incidentally to follow Phil’s comment above, the museums are still free, at least for the moment. A character in Agatha Christie’s novel _At Bertram’s Hotel_ (1965) goes to the terminal only to find his flight was the day before. I’d never heard of it and was greatly pleased to see this site. Nowadays it’s airport car-rental facilities that are sometimes far from the airport, notoriously so in for instance Phoenix, Arizona. You can see Kensington Air Station in the 1949 Margaret Lockwood film, Madness Of The Heart, at about five minutes in. The film is currently availabe on YouTube. I used to do an odd shift there sometime after the BOAC/BEA merger in the mid 70s. My normal workplace was network control at Heathrow, SAUDIA had a contract with BA to provide IT and I believe it was originally serviced from the WLAT. Excellent article. I was curious about it because I was reading Agatha Christie’s “At Bertram’s Hotel”, and I’d never heard about any air terminal in Kensington. So it was interesting to read about the terminal and its history. But sometimes old ideas return – a few years ago Vienna opened its City Air Terminal in the city centre, with a rail link leading directly to the airport, and check-in desks at the city terminal. I think as airports get busier and more crowded, this idea is becoming practical again. Can also be seen in Billion Dollar Brain, ultimate part of the Harry Palmer trilogy with my name is Michael Caine. I worked there for BEA IT from 1968-77. Happy days! I think you must be Charles Bazalgette? I was in the computer room from 68-74! Great memories! Ah, Charles! Yes, I remember him from my BEA days. Is this the terminal that burned sometime around 1960? We watched that from our flat a few blocks away. As far as I’m aware, the original two-storey building didn’t burn down. The current building was constructed in 1962-3 and was in use as an air terminal until the early 70s. I’d be very interested to hear more about a fire in the area. I worked for BEA in the West London Air Terminal in 1971 as a clerk typist for a Systems Analyst for about 3 months. I was on a working holiday to UK, coming from Brisbane Australia. I walked to this building each day from Cranley Place, South Kensington where I lived in a bed sit which was rather primitive then with only a tiny gas operated hot plate for a cooker costing one shilling an hour. No refrigerator, we used the windowsill to keep milk and butter cold ha! Still we loved it, as it was a great adventure for 22 year old girls then. I remember getting stuck in the lift one Friday around 5pm, it was scary, could see myself there for the week end ha! I kept my finger on the emergency button, until a male voice said over the intercom “take your finger off the button” I called out, “please get me out of this lift”. I was in the lift for an hour or so when the doors were prised open with a crowbar by the two men. From then on I walked down the ramp inside the building every day after work. I thought the old BEA terminal building was demolished, but just discovered today it is now residential apartments called Point West. Wish I knew this when I was last in UK in 2013, I could have walked in my old footsteps to revisit my old workplace when revisiting the old bed-sit at 12 Cranley Place, (it was £5 each a week then. Can you imagine the cost today??) something to put on my visit list for next time. Those were the days! Search on-line for a short film entitled ‘Clear to Land’, about BEA in its hey-day. Included is a sequence shot in the West London Air Terminal, showing the 4th floor reservation hall in the late 1960’s, and Univac Unisets in use on BEACON ASRS 4. Hi, I lived in Kensington until moving to Ireland in 1975. I used the West London Air Terminal several times flying BEA to Dublin. It was a magical building which I recall with fond memories of Sunday afternoons walking round to soak up the ‘airport’ atmosphere. There were lifts that had fascinating (for a young boy) with buttons that lit up when you touched the clear plastic surrounds – they didn’t move in or out but lit when simply touched. Just been watching a 1958 film ‘Nowhere to go’ starring George Nader and Maggie Smith. 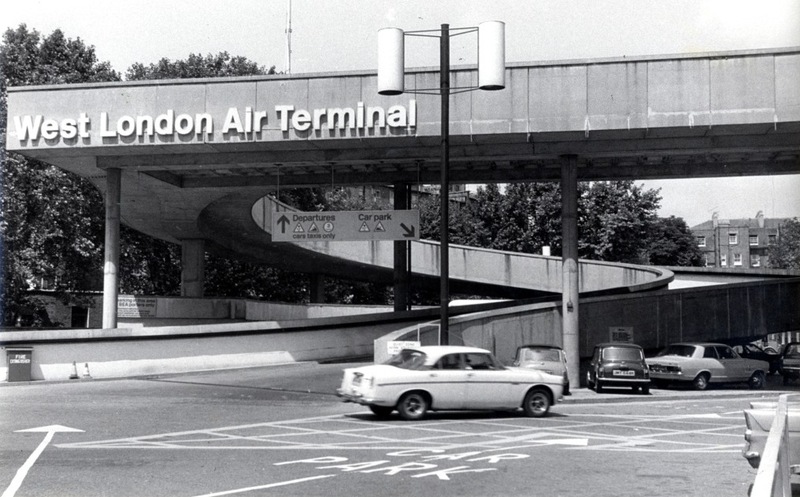 Some wonderful ‘old’ London locations including ‘Kensington Air Terminal’. i used to live in South Kensington until 1971, and the first time i went to Spain by myself in 1970 (I was 17) my mother took me to this terminal – our local one, and off I went. it was very easy and pleasant and near. once you got to the airport you didn’t have to worry abut anything! it was a great shame when it fell into disuse! I lived there till 1974 actually. I can’t work out how to edit my previous comment! I worked in an au pair agency in France in the early 1970s, and almost all the families to whom we sent girls said that they would meet them at the WLAT – in the days before the Piccadilly Line and Heathrow Express, it was the only practical way of getting to and from Heathrow by public transport. I used it myself a time or two, and also the Gatwick Airport terminal at Victoria Station (not Waterloo, surely?). So much more pleasant not to have to negotiate public transport with a heavy case, but, alas, impractical in these days of heightened security. When I moved to the UK in 1975, my future wife (Margaret) lived on the Cromwell Road about a block away from the WLAT. She used to work as a programmer, but I don’t remember which system she was on. She used to go home for lunch! I loved the long sloping corridor that went all round the tower and one of my treats was to go up in the lift and run all the way down whilst mum sensibly went back down in the lift to meet me at the bottom! You didn’t mention the IRA bomb that took a huge chunk from the tower sometime in the mid 70s, I was in the Osten mews across the tracks and my mum picked me up and threw me behind her smashing my face open on the pebble dash. Many a school teacher still cowering in corners will agree that my mum was infinitely scarier than the IRA! I knew of WLAT from a previous visit to London when my big sister generously took me to the Proms as a birthday present in 1960. I decided we could probably get away with sleeping on the couches at the terminal for the night. There were other bona fide travelers doing it, although we were a pretty shabby couple in comparison; most of our ‘luggage’ in plastic bags. Slept undisturbed, like a log, and was woken at about 7am by a courteous security guard who called me “Sir” (a first), told me the time and informed me the restaurant had opened and was serving breakfast. Seemed like a lucky visit to heaven at the time. Big, clean, shiny, well-lit and very modern to my provincial eyes. Times have changed. My father worked there as a porter and then as security. He used to take me there regularly. In the late 50’s early 60’s what a fascinating place for a young school boy to explore, different levels and hustle and bustle everywhere. Looking back It was quite sedate compared to today. I think it eventually closed as one could check in there with your baggage and then being taken to Heathrow by coach and be assured of catching your flight even if the coach taking you to Heathrow was delayed in traffic.As traffic volumes increased causing delays and there were security issues with baggage which ceased the guaranteed travel and so it closed I believe. 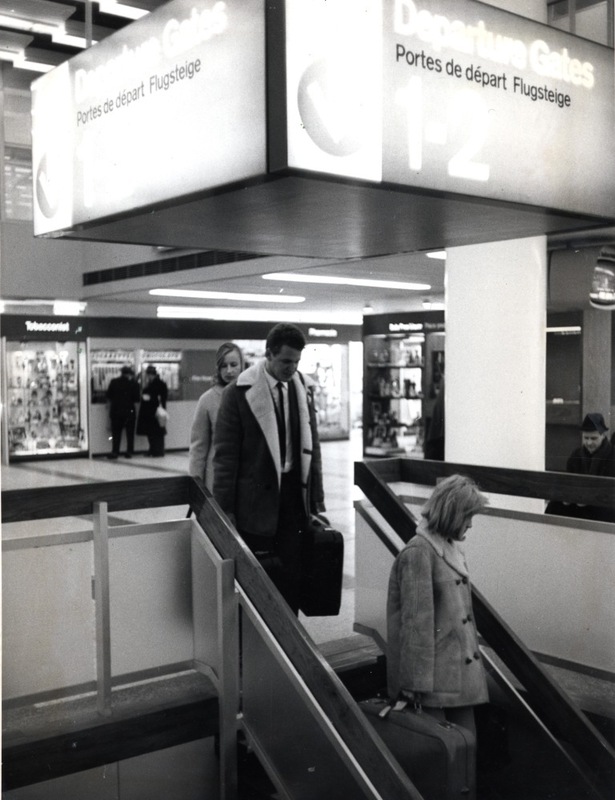 Also because check-in facilities had been expanded in Terminal 1 and the Piccadilly line was extended to Heathrow (opening in 1976). Trains are great and a vital option but I think if travelers today knew how easy and comfortable that journey was from the West End Terminal to the airport they’d be very pleased to have that option again. I will always miss London and I notice that cushy chartered buses (whose windows are not covered with annoying eye-boggling decals) are the way millennials prefer to commute now that I live here in the San Francisco bay area. 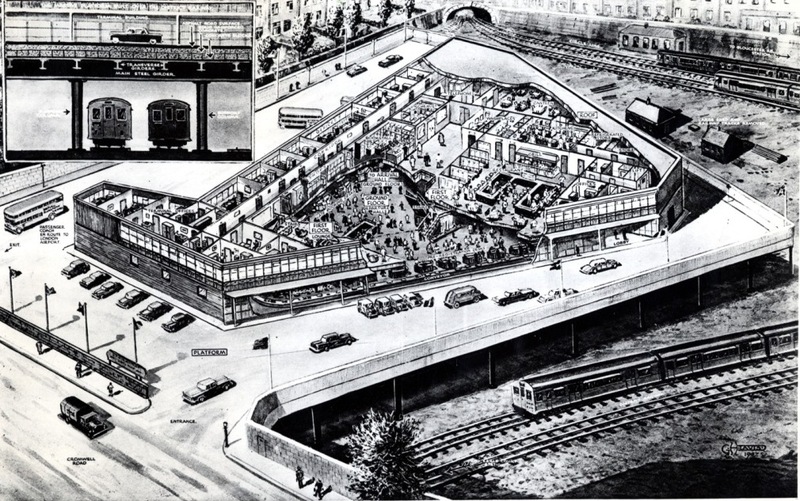 ” It had a remote terminal at Waterloo Station.” – for Croydon? No direct trains Waterloo to Croydon, then or now. I think you mean VICTORIA? There’s a link in that post to a picture of an air terminal at Waterloo. I would like to claim that the confusion arose from that but more likely I put the wrong station in my post. 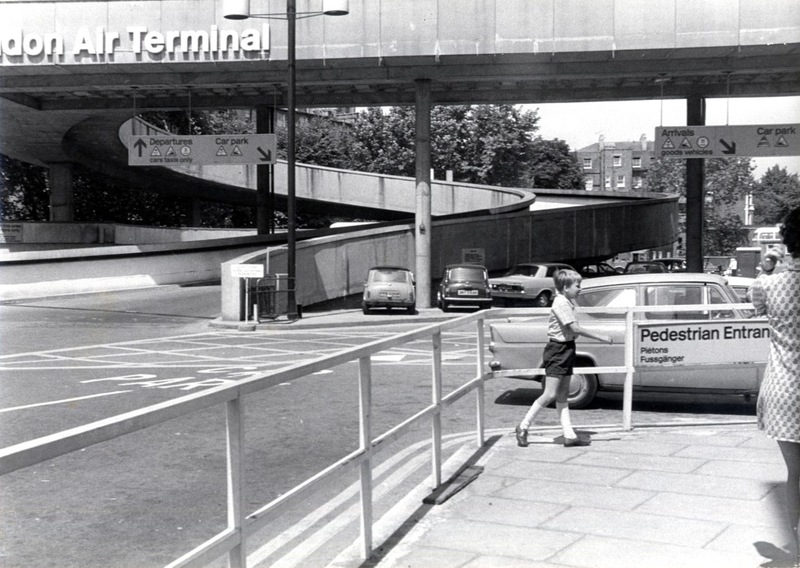 There was a short-lived North London air terminal opposite Finchley Road & Frognal station. 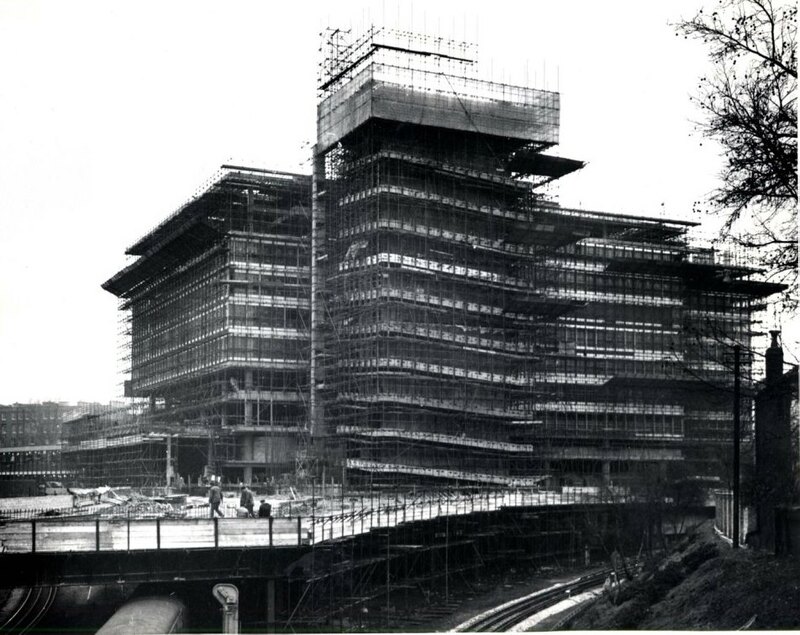 I worked here from 1972 to 1977 on the 4th floor, I was taken on by BEA when they merged with BOAC to become BA. I was taken on for reservations but the whole course and some future ones were put on Inclusive Holidays namely Sovereign Holidays and later Enterprise Holidays. Yes it was a great laugh , mainly girls working there and the Comet Club in the basement some lunchtimes, Christmas parties down in that area as well. Sometimes splashed out on payday to have lunch at the Penta Hotel opposite! We worked shifts from 8am to 6pm I remember being evacuated when a bomb went off on the vehicle ramp in the picture. The canteen was good and cheap buttered toast 1p!! and the trolley coming around to the offices with cheese and ham rolls… I knew about the building going to be made into flats and Sainsbury coming in ….would have been nice to have the flat where my desk had been ! Someone else carrying your bags from central London to the Terminal? What a great idea! Have you seen how hard it is for people to squeeze their bags onto Piccadilly trains. But how big a check-in area would they now need in a city centre terminal handling all LHR Terminals, plus or minus LGW? Great article!!! As a young teenager I used the air terminal twice and remembered it was just as exciting as an airport though without aircraft. The BEA routemaster type buses did not hang around and I remember that when driving with my parents towards the M4 the buses were driven purposely and quickly (no cameras in the erly 70’s). 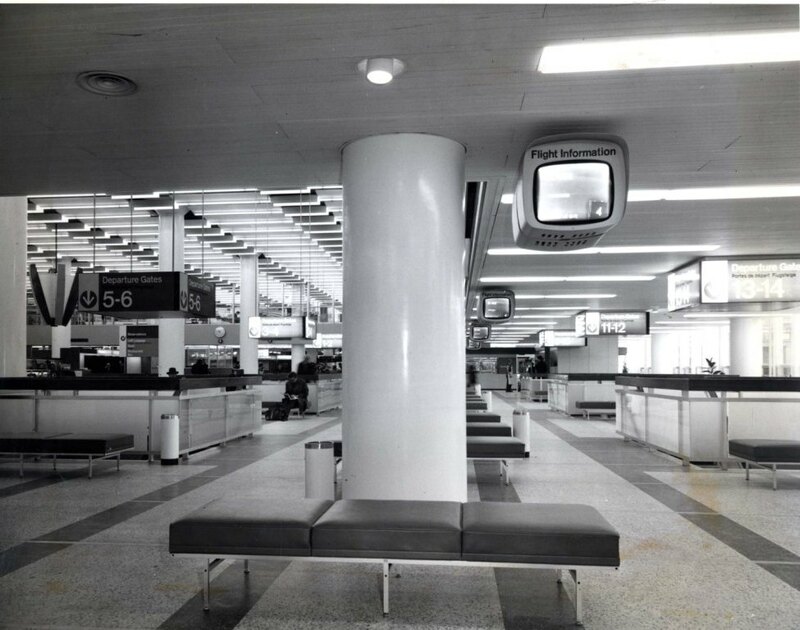 The demise of the terminal was entirely due to the underground being completed to Heathrow, though with this service nownot terribly frequent and cluttered the air terminal seems very attractive! Any news of the 30s art deco BOAC terminal? I worked at WLAT 1962 – 67 and have details I would be happy to post but don’t use any current means (facebook/twitter etc.) so please let me know how to proceed. I was honoured to work for BEA joining as a commercial apprentice in September 1959 and after completing my training in ‘passenger service’ worked at West London Air Terminal (WLAT) for five years from 1962 to 1967. The workings of the terminal supplied passengers with all aspects of their journey (apart from an aircraft) in Reservations, Ticketing, Check-in and Departures plus the appeal of being on a flight without the worry of getting to the airport, traffic and parking. 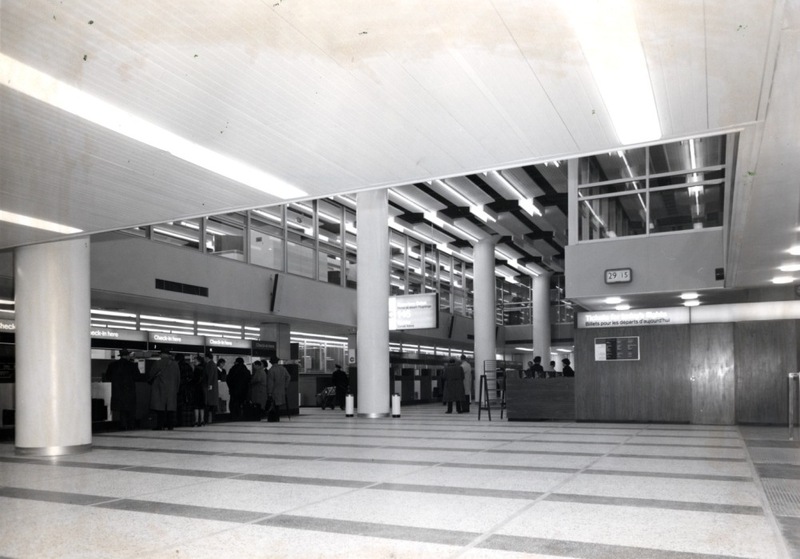 It also housed a selection of shops, currency exchange and restaurant plus car-hire and hotel booking service in the ground floor arrivals area. Some previous comments have raised memories for me and perhaps the following could be of further interest. There was indeed a major fire at WLAT a year after opening affecting the upper floors or the building where construction work was continuing to house BEA’s Reservations call-centre, IT and Admin. Drawn out of Snows Hotel (and a late after-hours bevy) by the sound of numerous fire engines I was one of many who watched the event from Cromwell Road and it is documented on other web-sites. 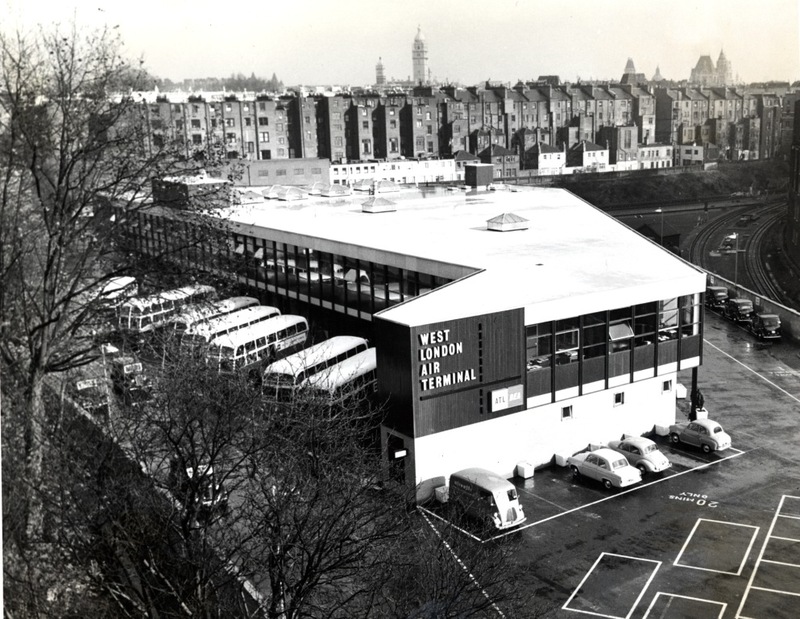 The location of the terminal attracted a terrific variety of staff in the vibrant period of the Sixties with Earls Court on the door-step, London’s West End a few stops away and good access onto the recently opened M4 to be out of London in a few minutes. It was certainly a very friendly work-place and I do recall being outnumbered by female staff. 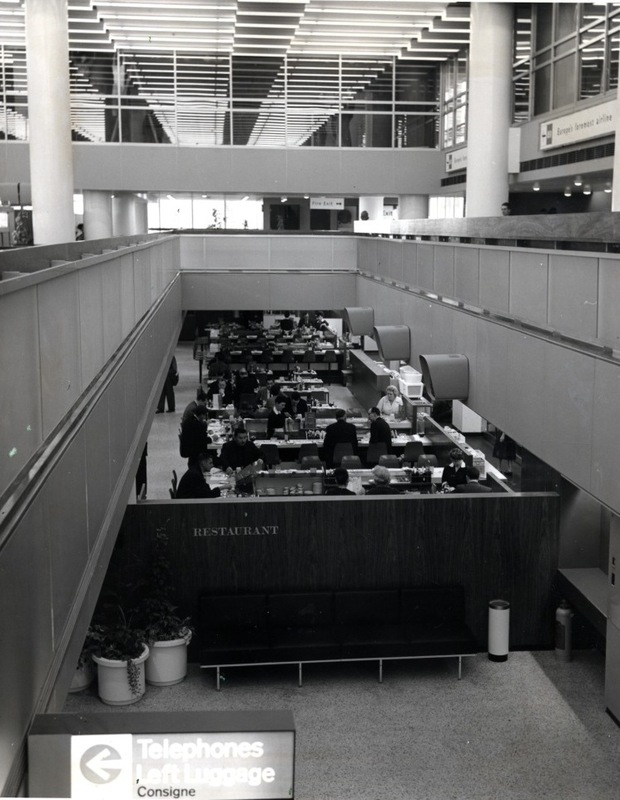 The Comet Club (part of BEA’s Silver Wing Club) was located in the terminal ‘basement’ and provided staff with an amiable location to relax and enjoy a drink in good company. It as at one of their evening events I met my future Wife and after some 50 years still have great memories of WLAT, the Staff and working for what was at that time a great airline. How time flies and things inevitably change.